A big weekend in Pullman for the Cougar faithful, as Washington State took out Arizona State after falling behind early. The win, the team's sixth of the season, makes the Cougars bowl-eligible, and leaves them with a chance to end up 9-3 (best case scenario) and at worst 6-6. 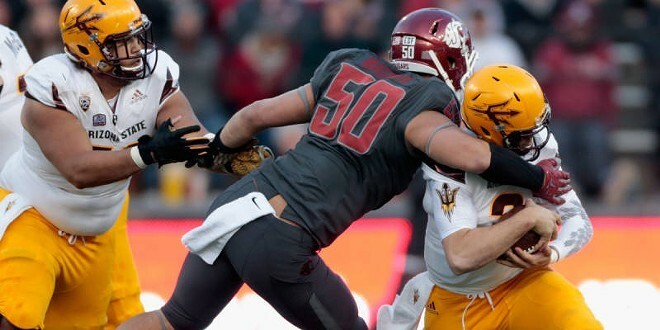 We have a complete recap of the big win over the Sun Devils right here, and it's worth noting that the Cougars will more than likely be favored in two of their last three games. The upcoming schedule is only somewhat daunting, with a tough trip to UCLA up next, followed by a home game against Colorado and the Apple Cup in Seattle the day after Thanksgiving. 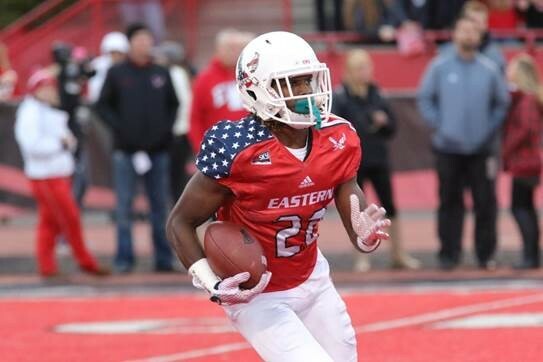 The EWU Eagles have been playing a series of crazy-close games for much of the season, and still found themselves undefeated and in their usual position atop the Big Sky standings heading into their homecoming game Saturday against Northern Arizona. Things changed on Saturday, and not for the better. Northern Arizona came into The Inferno and ended the Eags 19-game home regular-season winning streak, and the team's 19-game November winning streak — and it wasn't close. The Eags got pummeled 52-30 — read our complete recap of the game here — and now find themselves in second place in the Big Sky, behind undefeated Southern Utah, and just one game ahead of Northern Arizona, Montana and Portland State. Upcoming games at Montana and at home against Portland State will go a long way toward determining if the Eags will be the playoffs this year, and what their seed will be. On the upside, five other Top 10 teams in the FCS lost on Saturday, too, so the Eagles' seeding probably didn't take a huge hit. Remember when the Vandals had that two-game winning streak? Idaho will have to go undefeated to end up at .500 and be bowl-eligible, and that would require beating both Appalachian State and Auburn, so, you know, not bloody likely! The Vandals lost to South Alabama in a close one, 52-45, and now find themselves with a two-game losing streak. Mainly, I mean they are going to come out of their bye week over the weekend with the knowledge that Green Bay suddenly doesn't look so great, they get two shots at the division-leading Cardinals coming up, and Carolina just might have home field advantage for the NFC playoffs — do any 12s not believe the Seahawks would beat Cam Newton and Co. in a rematch?